Shirring Waist Dress Just $14.99! Down From $50! Shipped! You are here: Home / Great Deals / Shirring Waist Dress Just $14.99! Down From $50! Shipped! Through February 7 only! 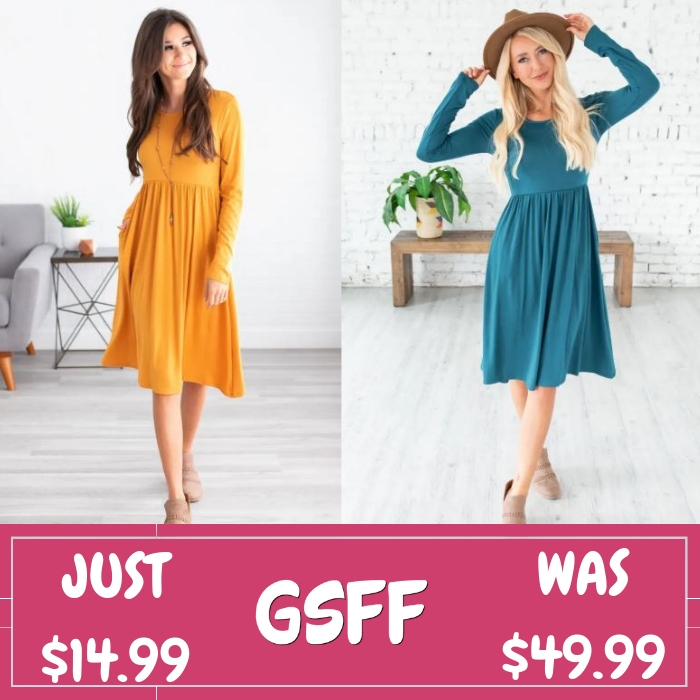 Score this Long Sleeve Shirring Waist Dress which is on sale at Jane for only $14.99 down from $49.99 PLUS FREE shipping! Yes, they did just add long sleeves to their favorite dresses right in time for cooler weather! This Long Sleeve Shirring Waist Dress is a must-have this season! This dress has such a comfortable fit, its soft fabric drapes beautifully and is flattering on all body types. Available in a variety of colors and sizes, you won’t regret adding a couple of these adorable dresses to your closet!